We get to work. We plan, discuss, discover, create and work together to make a website you are proud of and one that has your back. Don’t mess around with a cool logo until you plan. Don’t pick out your best colors until you plan. Stop wasting your time and money. Create a website that WORKS FOR YOU! 1. Contract: All projects start with a contract so there are NO surprises! 2. Strategy: Together we’ll define your audiences and your outcomes. 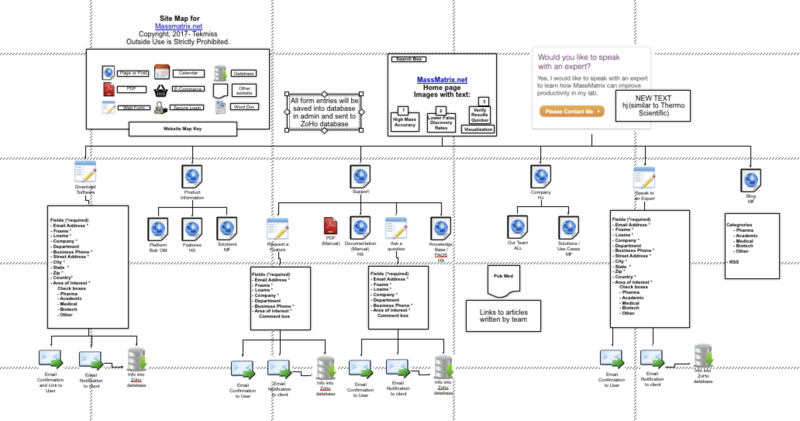 From there I will create a Website Map (or flow chart) that you approve. NO design is done until we know what we are going to put on the website. Designing a website without a plan is like building a house without a blueprint. 3. Logo and Branding: If needed, together we’ll create a logo and tagline that you love. We’ll determine the best colors and images for YOUR brand. 4. Website Design: TekMiss will recommend a design (or set of designs) that you approve. 5. Content: TekMiss will create a worksheet for the content needed. Together we’ll determine where all of the text, images, videos, etc. will come from. 7. Creation: Your website design will be created online so you can see the work in progress. All social media and email marketing will be integrated with your website. 8. Social Media: Together we’ll determine (from our initial planning and further discussions, what social media outlets to concentrate on. You DO NOT have to do them all! We’ll determine if it’s Facebook, Twitter, Instagram, Linkedin, Pinterest, SnapChat, YouTube or others. Most of my clients do between 1 and 4 social media sites. TekMiss will set up your social media sites to match your brand and connect them with your website. 7. Training: TekMiss provides training so you can manage (add, edit and delete) your website and social media. You will get training on how to use your email marketing tool. Are you ready to work with someone who cares about you and your marketing? Are you ready to work with someone who will make it easy AND make it right? Are you ready to work with someone who has decades of experience in online marketing?